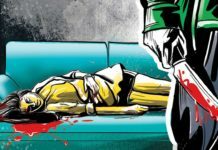 In a horrific turn of events, a minor girl was allegedly gang-raped inside an Intensive Care Unit (ICU) of a private hospital by a hospital staffer and four unidentified men, in Uttar Pradesh (UP). Police further added that the girl was admitted to the hospital after she was bit by a snake and was put on the ventilator in the ICU ward of the hospital. However, she was later shifted to the general ward once she showed signs of recovery. It was then, she informed others about the horrific incident. Singh also said that, after learning about the incident, the police immediately reached the spot and lodged an FIR against one of the hospital staff and four other unidentified men who are now absconding. In the meanwhile, Uttar Pradesh Chief Minister Yogi Adityanath to install ‘Statue of Lord Ram’ costing Rs 330 crore. Yogi is likely to install a statue of Lord Ram on the banks of the river Saryu.